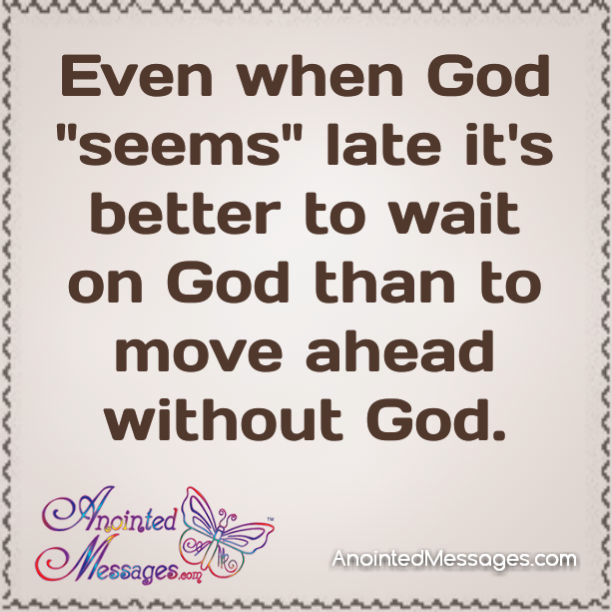 Anointed Messages: Waiting When God is late. 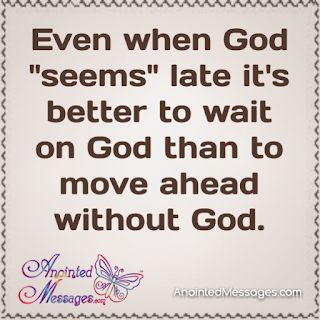 Waiting When God is late. Anointed Messages has a text ministry. Subscribers receive a prayer at 8 am and/or the daily text at 3 pm. 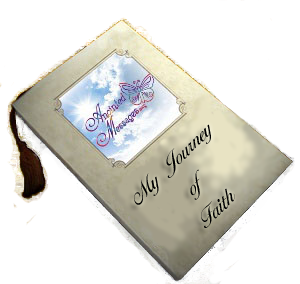 When God gives me a message I store it in a file and schedule it for the appointed time. I like having a storehouse of messages. I like when the queue is full and messages are scheduled in advance. But every now and then I don't have a message as the time approaches. There's a temptation to come up with my own message for the sake of being on time. But it's God's ministry, and the messages must be God's - not mine. God eventually shows up with the perfect message. I think about how Saul didn't wait for Samuel and offered up the sacrifice that Samuel was supposed to make. I can empathize with Saul's plight. There was an army coming against him, his men were abandoning him, and Samuel did not show up at the time he said he would. Not waiting on Samuel / God was a huge mistake, and it cost Saul his kingdom. God's Beloved we will face times when we feel compelled to act, and tempted to move ahead of God. We may have to risk being late, looking foolish, or experiencing lack/discomfort. But obedience is better than sacrifice, or being "on time." Help me trust You and Your timing. Help me resist the temptation to move ahead of You. Even when You don't show up when I want You to, I know Your ways and timing are best.